A fifth member of a forgery gang responsible for making and supplying false identity documents including Construction Skills Certificate Scheme (CSCS) cards has been jailed for six years. 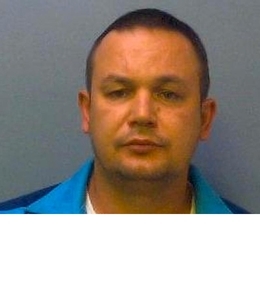 Ukrainian national Oleksandr Sukhoviy, 39, was arrested in October 2018 following an investigation into what was dubbed an ‘industrial scale’ forgery factory in Stratford in East London. Following the raid, more than 3,000 completed identity documents, 3,500 passport style photos and 300 Construction Skills Certificate Scheme (CSCS) cards, as well as 40,000 blank cards and £15,000 in cash was found. Discussing the case, National Crime Agency branch commander, Mark McCormack, said: “This sentencing is the culmination of an investigation that has dismantled a whole supply chain for false identity documents, from the street-level dealer, the middle-market distributors, all the way to the actual forger. “False identity documents are a key enabler of criminality and affect the economic wellbeing of the United Kingdom. “The type of things produced by this network could be used for money laundering or to help people gain work or access services in the UK illegally, but may also lead to dangerous consequences, especially if people claim they are qualified workers in construction or transport when they are not.